If you find yourself regularly jetting across the country, spending many a night in hotel rooms or even airport gates, you’re the perfect candidate for a travel rewards card. Not only can your everyday spending on these cards land you the extra miles for trips on the airlines you know best, they can often boost you into exceptional flier classifications that provide valuable perks, ranging from upgraded seating to access to exclusive airport waiting areas. While it may cost you an annual fee, frequent travelers uphold that they are well worth the cost. The Venture card / VentureOne card– Capital One has two good choices, so what’s the difference? The Venture card has a $59 annual fee, but offers two points for each dollar spent, VentureOne has no annual fee, but offers just 1.25 points per dollar. These two cards are otherwise identical. Earn 10,000 bonus miles when you spend $1,000 on purchases within the first 3 months, which is equal to $100 in travel. Your miles can be redeemed for any travel expense, and there is no limit on the amount of miles you can earn. 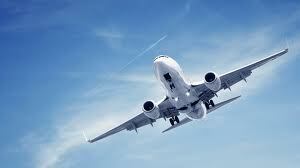 Unlike many travel cards, you are able to fly on any airline at any time with no blackout dates. The cards also have no foreign transaction fees and you’ll be eligible for upgraded seating when available. Citi Platinum Select / AAdvantage World MasterCard – Earn 30,000 American Airlines AAdvantage bonus miles after making $1,000 in purchases in the first 3 months, equaling the highest return for these three cards. You’ll receive a free checked bag for you and four traveling companions on your first flight as a card member. Some other perks include an enhanced boarding experience through Group 1 Boarding, and a $100 American Airlines Flight Discount each year of card membership. Keep in mind, in order to renew this card membership you must spend $30,000 or more in purchases. The annual fee for this card is $95, which is waived for the first year. Chase Sapphire Preferred – The Chase Sapphire Preferred card offers a bonus after you spend at least $3,000 on the card in the first three months. That reward comes in the form of 40,000 bonus points, which can be redeemed for $500 in travel booked through Ultimate Rewards. When you book through Ultimate Rewards you can get 20 percent off airfare, hotels, car rentals and cruises. Additionally, you can earn double rewards on travel and restaurant purchases. Importantly, too, these miles can be transferred to any airline’s frequent flier program, so you’re not restricted to traveling with one airline. The Chase Sapphire Preferred card has a $0 introductory annual fee for the first year, $95 thereafter. There are no blackout dates or restrictions of any kind when using your rewards points. Do you have any of these cards? Comment below to share your favorite card for a traveler!